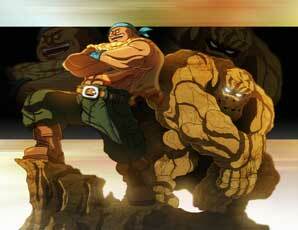 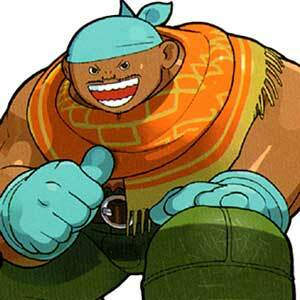 Gunrock is one of the playable characters of the Power Stone fighting game series by Capcom. 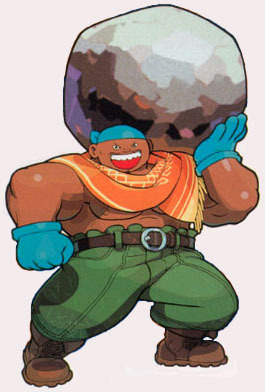 He debuted as one of the ten characters in the original Power Stone (1999) and returned in the sequel Power Stone 2 (2000). Gunrock did not appear in any other games later but was of course a part of the Power Stone Collection in 2006 on the PSP. 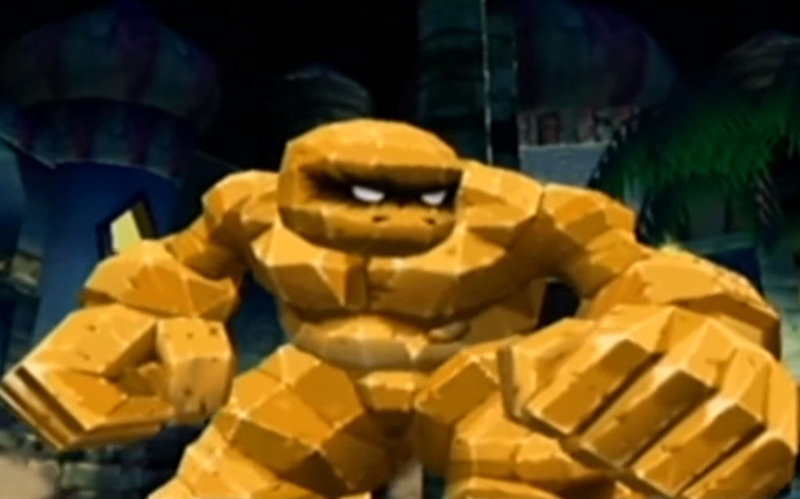 In his Power Form he transforms into a large Golem that can throw large rocks and can shake the ground in the arenas.